The Tesla Model X just got another free publicity boost, this time from famed Iron Man director and personal friend to Elon Musk, Jon Favreau. 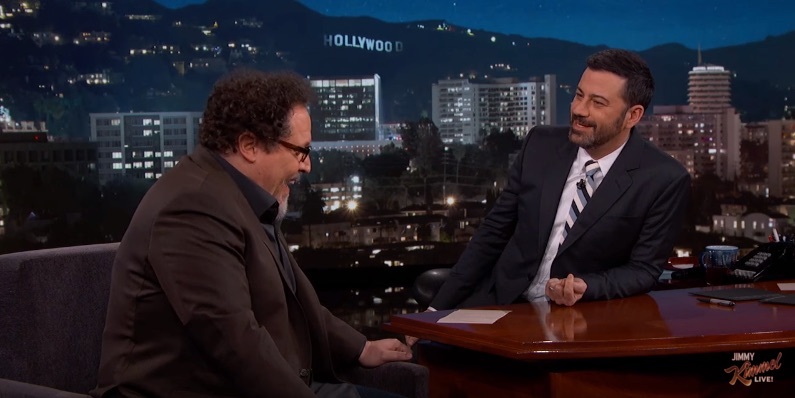 Favreau was on Jimmy Kimmel Live Tuesday night describing his recent experience riding in Musk’s personal Model X to the Star Wars premiere in Hollywood. “I got a lift from him, I pulled up, I couldn’t open the door .. and then it was like Pimp My Ride .. the door went up, I stepped out … it was a very weird experience”. Favreau goes on to describe his friendship with Musk stemmed from an introduction by Robert Downey Jr. during production of Iron Man. “There’s a real jet engineer, billionaire guy that might offer some insight on how to do Tony Stark. Since then we became friends and filmed part of Iron Man 2 at SpaceX”, accounts Favreau. Watch the segment below to hear Favreau’s humorous take on how he borrowed Musk’s Model X to pick up his kids at school.